DNS Accountants is the best IT contractor accountancy firm located in Cambridge providing accountancy and taxation consultancy to contractors and freelancers. Our team of contractor accountants in Cambridge and surrounding areas including Harston, Waterbeach, Fulbourn, Girton, Stevenage, Comberton and Histon specialize in managing accounts for freelance personnel. In the United Kingdom, freelancers are a rising segment of working people. Most businesses in the United Kingdom prefer to keep their standard expenses to an absolute minimum and hence, are keen on working with freelancers. 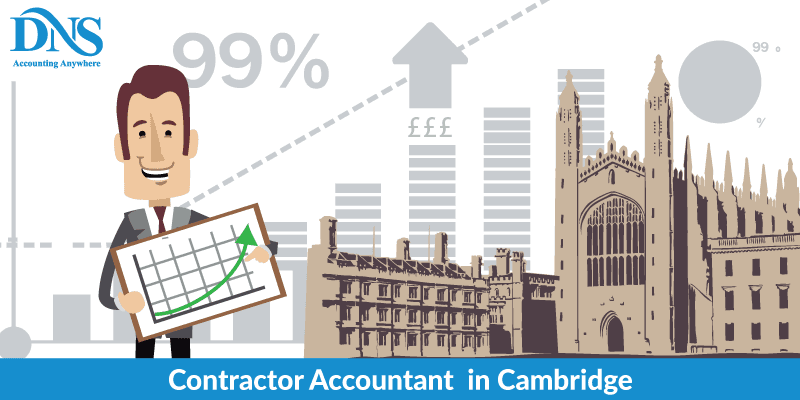 In such a scenario, where individuals are opting to work as a freelancer or a contractor, there is a strong demand for contractor accountants and DNS Accountants is the best and cheap contractor accountants in Cambridge. Though freelancers can complete and file their own tax returns but it has become a little difficult to do so after the introduction of the Intermediaries legislation or the IR35 legislation. This legislation, introduced in April 2000, has made things very tough for authentic freelancers and can lead to legal action against them if they misinterpret the rules and fail to pay the right amount of tax. DNS Accountants perform accounting tasks for contractors in Cambridge and help freelancers/contractors to complete their tax return and thwart them from paying more tax. Appointing a contractor accountant with relevant experience can make life easier for a freelancer. 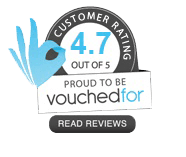 DNS Accountants is ranked among the top contractor accountants in Cambridge and we are also the best IT contractor accountants in London. We have been flourishing in the market since 2005 with a client base of over 1,200. Our contractor accountants’ fee is very nominal and we provide high value results to meet all the accounting needs of our clients. We work hard to understand the requirements of our clients which in turn help us to deliver in a timely manner and give personal advice to improve the business and personal wealth. DNS Accountants proudly announce that our team consists of members from professional accounting bodies, qualified professionals and top university graduates. With the skill set and knowledge base our team has, we help clients save money in taxes and make sure the clients get utmost returns. The full business package of DNS Accountants covers all the business needs and tax affairs at a fixed fee of £55 plus (+) VAT per month. Cambridge is the technology hub and the main industrial sectors in Cambridge are engineering, pharmaceuticals, tourism and IT consultancy. Cambridge is also famous for the quality of education and the world class University of Cambridge. The facilities and opportunities existing in Cambridge make it an exceptionally feasible place to invest in. Cambridge is a highly rated city and small businesses are performing very well and have a high growth rate. Apart from Microsoft, some of the other technology companies in Cambridge include Sinclair, CamSemi, and Jagex and is home to the life sciences tool supplier – Abcam, along with many other well-known names. Cambridge is an ideal place for small businesses and offers tremendous opportunities for freelancers/contractors. DNS Accountants, along with the efforts and inputs of our learned team of accountants and taxation professionals, have developed our own cloud-based accounting software – Nomisma Solution. Freelancers can have access to the entire solution package including bookkeeping, payroll, self assessment, auto enrolment and customer relationship management (CRM) - the most important feature for contractors in Cambridge. With a cloud accounting system, our clients have access to their existing business performance information which can be accessed from any location and at any point of the day (the only thing needed is an internet connection). Since, contractors work on multiple projects at one time they require updated information and access to professional advice from our IT contractor accountants in Cambridge to help freelancers/contractors with the challenges facing the business. Most challenging part for any business is to find a contractor accountant who gives a fixed price, communicates with the clients regularly and customize the services according to the client’s industry and needs. Our team is experienced and helps clients with credit support and has the knowhow of reducing the tax base. The United Kingdom government has made changes to how workplace pension scheme works in order to help more residents of UK secure their retirement. Auto-enrolment is a new requisite for employers in the UK under the pension reform law. Under a law introduced in 2012, all employers must sooner or later put forward a workplace pension scheme (WPS) and automatically enroll eligible workers in the scheme. DNS Accountants – contractor accountants for small business in Cambridge, provide expert accountancy and taxation consultancy that is tailored to the personal and business needs of freelancers, contractors and small-businesses. Our cheap accountants in Cambridge focus on providing dedicated and professional services to all local businesses and individuals operating in Girton, Histon, Fulbourn, Comberton, Harston, Stevenage, and Waterbeach.